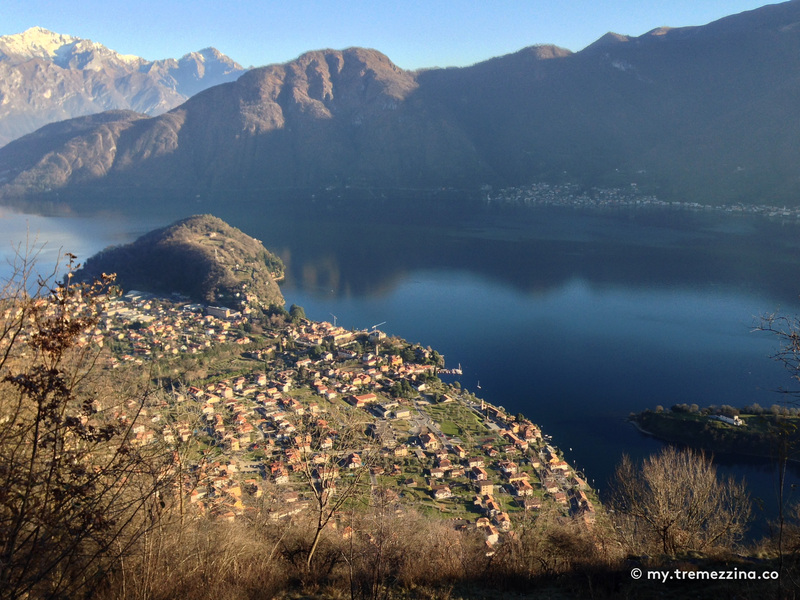 By following the Lake Como Greenway, it is possible to find numerous walks running through the hamlets of Colonno, Sala Comacina, Ossuccio, Lenno, Mezzegra, Tremezzo and Griante or along the slopes of the surrounding mountains. The route I am suggesting leaves from the cemetery of Sala Comacina and leads to the Sanctuary of the Virgin Mary of the Rescue in Ossuccio. 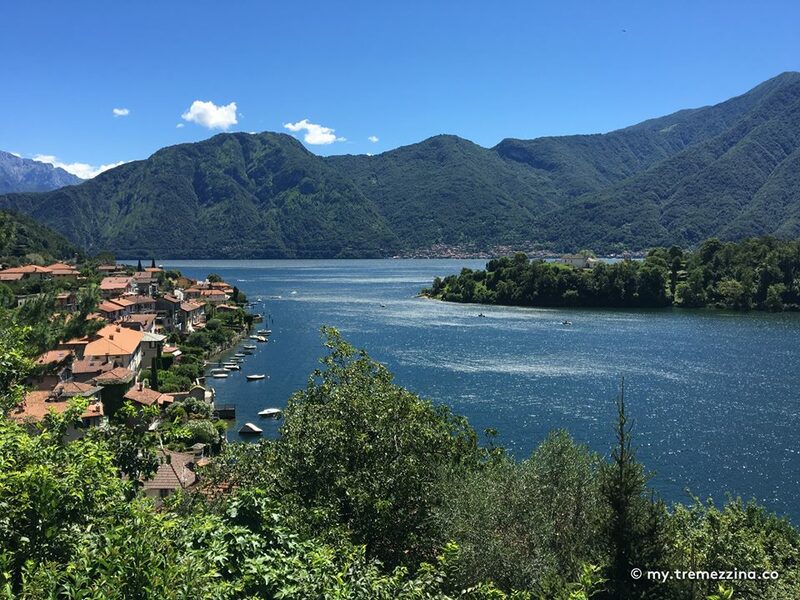 Between the hamlets of Colonno and Sala Comacina, before the cemetery of Sala Comacina itself (arriving from Colonno), you can leave the Lake Como Greenway with its lively and busy “life”, especially along the lakefront, to follow a very relaxing mountain path. The path, which is really attractive from both a naturalistic and a landscape point of view, allows you to reach two extremely interesting historic-cultural destinations: the Tower of the Rescue, also known as the Tower of Redbeard, of medieval origins and today property of the FAI (Italian Environment Fund), and the Sanctuary of the Virgin Mary of the Rescue, cultural heritage site, which has always been a place of pilgrimage but also of affectionate devotion with the locals, who often go there even to just address a prayer to the Virgin Mary. These places of interest are not the only treasures of this route. Along the path you can actually enjoy a country landscape that distinguish the first mountain area: a picturesque hamlet of farmhouses, tilled lands, many domestic animals, such as donkeys, cows, goats, hens, dogs and cats, where you can often also meet the local farmers, who enjoy stopping people to have a chat. If you like cheese, I would suggest you to stop in one of the first farmhouses where you will be able to buy excellent cow’s milk cheese. The path climbs for about 1.5km until it reaches a junction. For the daredevils, you can keep climbing until you reach the Alpe of Sala, where a beautiful scenery and a characteristic holiday farm that produces goat’s milk cheese, salami and Merlot wine will meet and greet you. However, the path I suggest actually continues along the level route, running through a group of refurbished farmhouses. I suggest a short stop in the farmhouses area to enjoy the wonderful views over the gulf of the Comacina Island. Past the farmhouses, the path descends and crosses a dry dell, from where you carry on along the cobbled road that further on becomes a path. 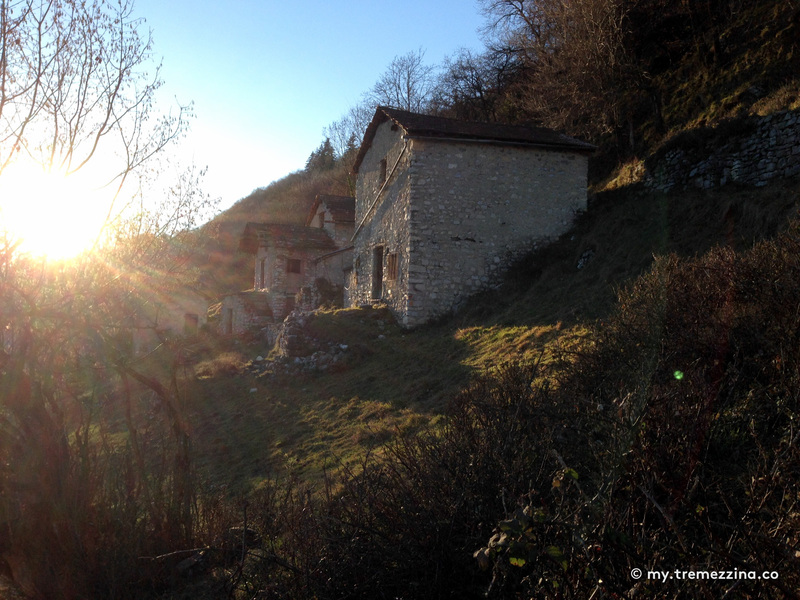 The path leads you through the wood, where, walking along a small and characteristic wooden bridge, you cross the valley that separates the villages of Sala Comacina and of Ossuccio. 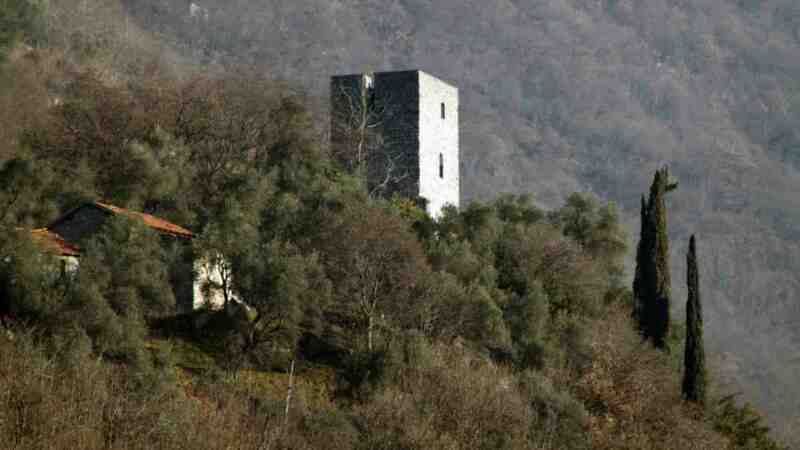 Past the valley, further on, on the right, you find the Tower of the Rescue. The Tower is situated at 400m of altitude and its position, high up above the Zoca de l’Oli, allows you to gaze at wonderful sceneries of the lake and of the mountains. Past the Tower, you reach a new junction: if you go down, you will reach the hamlet of Ossuccio, but I would suggest you to climb up to the right to reach the Sanctuary of the Virgin Mary of the Rescue. The Sanctuary, encircled by woods and green and completely isolated from any other building, is a peaceful and quiet place. 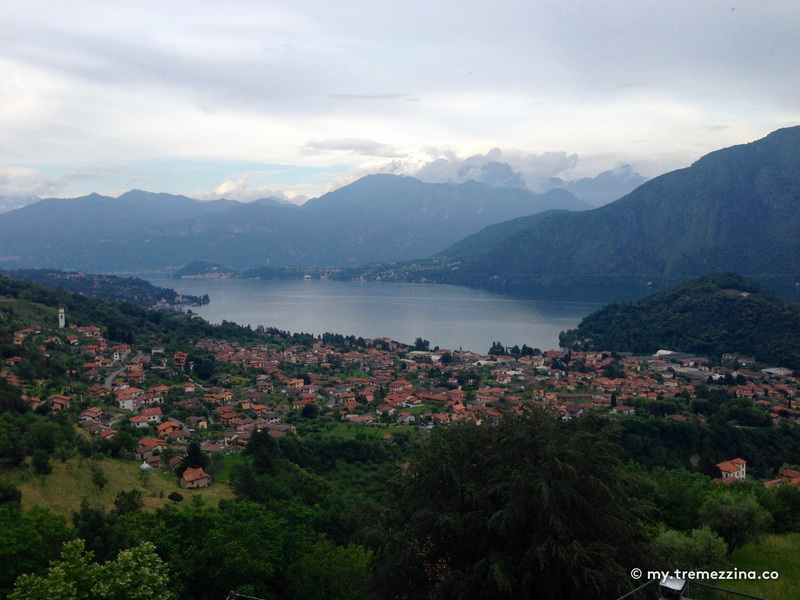 After the walk, you can enjoy a well-deserved rest in the large church square, with a spectacular view that covers the Comacina Island and the peninsula of Balbianello as far as Tremezzo, Bellagio and Varenna. On the left side of the Sanctuary, you can reach a cool courtyard where you can find a bar/restaurant for a snack or a refreshing drink. I would suggest entering the Sanctuary itself, which is not only a house of prayer and devotion, but also a vestige of historic and architectural importance, which has recently been restored and brought back to its past splendour. Leaving the church square behind you, you can go back down towards the Greenway, following the path of the chapels of the Sacred Mount of Ossuccio, running through the olive groves and along cobbled paths and flights of steps. A unique scenery will accompany you, the lake view will be different at each bend and the sights from the various panoramic points will be one more beautiful than the other one. Stop to have a look inside the chapels, accomplished between 1635 and 1710. Each chapel represents scenes of the Mysteries of the Rosary with stucco and terracotta statues.